The concept art is an illustration whose purpose is to sell an idea, both visually and conceptually. It is a piece of art that shows the full potential of a project, from the wonderful thing that will be seen, to the impact of its history. In this course, Jean Fraisse - art director for animated feature films at the Huevocartoon studio - will show you how an art director thinks and operates to create a successful concept art , so you can carry it out with your own projects. You'll start by getting to know Jean and his unconventional trajectory in the world of character design and concept art . You will also know some of their influences that will help you understand the role of the art director within a project. Then you will learn about the exploration and analysis function of an art director, the job of finding references, character styles and concepts that will shape your idea. Once all these elements are conceived, you will give them shape, defining visual rules within your project that will help you tell a story through images. The production of your concept art will be the next step, divided, on the one hand in the sketch and basic structure and, on the other, in the colors and finishes of your story. Finally, Jean will give you some tips to present your designs and improve your chances of approval by customers. What is the course project? You will develop a final visual concept that tells a story and has a coherent style to present to a fictitious client. To any creative person who has an interest in creating concepts and designs for their projects. You will need prior knowledge of design, volume and narrative. As for the materials, you will need a computer with Adobe Photoshop and a graphics tablet. Enjoy learning from home without a set schedule. You set your own timetable. Videos of the highest quality ensure that you don't miss a single detail. With unlimited access, you can watch them over and over. Learn valuable methods and techniques explained by top experts in the creative sector. Ask questions, request feedback, offer solutions. Share learning with other students in the community. Each instructor teaches only what she/he does best, conveying true passion and excellence in every lesson. More than 1M creatives and growing. 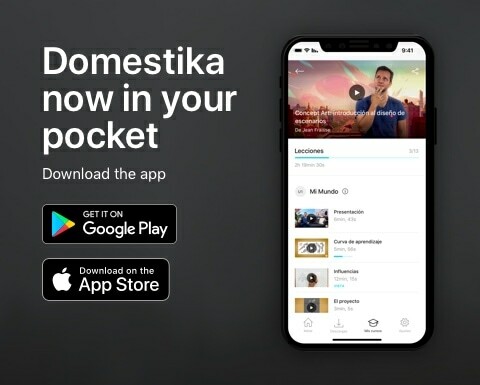 Domestika is the place to share and learn what you love. We selected top creatives and a team of experts to develop the courses. The result? You'll feel like you're working side by side with leading professionals. 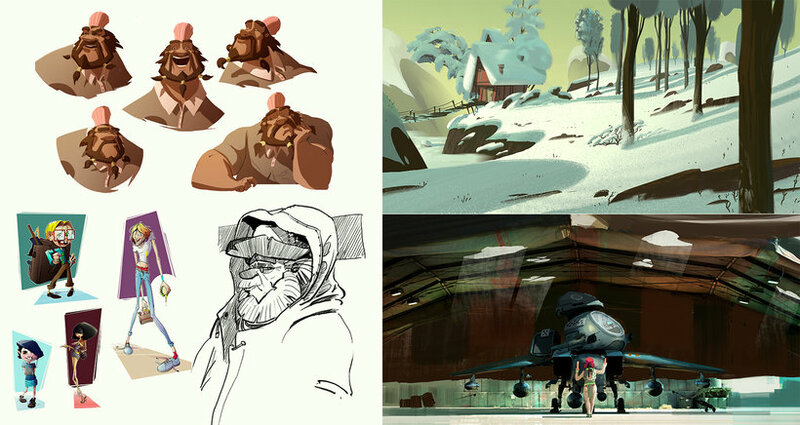 Having finished his studies as a graphic designer in Paris and after being rejected from the main animation schools, he decided to learn illustration on his own, applying it to his projects for various advertising agencies. It was then that he decided to start his new profession as a freelance and start working for large clients such as Marinela and Televisa . In 2015, he came into contact with HuevoCartoon and, since then, he has been working with them as an art director. At the same time, he works on several personal projects and is responsible for the development of the videogame 2D: Elixir. What are Domestika's online courses? Domestika's courses are online classes that provide you with the tools and skills you need for completing a specific final project. Every step of the project combines video lessons with complementary instructional material, so you can learn by doing. Domestika's courses also allow you to share your own projects with the instructor and other users, thus creating a dynamic course community. The course is 100% online, so once they are published, courses start and finish whenever you want. You set the pace of the class. You can go back to review what interests you most and skip what you already know, ask questions, answer questions, share your projects, and more. What do Domestika's courses include? The courses are divided into different units, each one includes lessons, informational texts, tasks and practice exercises to carry out your project step by step, with additional complementary resources and downloads. You will also have access to an exclusive forum where you can interact with the instructor and other students, and share your work and your course project, thus creating a community around the course itself. Have you been given a course? You can now redeem the course you received, just access redeeming page to enter your gift code and redeem it. Did you get this course as a gift?